This may come as a surprise to you if you own property in other states, and you are accustomed to being able to predict your property taxes each year with precision. In Utah, the process is not quite as cut and dry. In Utah, the County Assessors determine the "assessed value" of your property each year. It's typically not a property-specific "appraisal" but more of a blanket neighborhood-level adjustment based on overall market conditions. You will pay taxes based on this assessed value, at a tax rate that varies from county to county, depending on local programs, bonds, etc. You'll be pleased to learn that the "assessed value" is typically lower than "fair market value." After all, the county assessor doesn't have the time or the resources to deal with every property owner in the county lining up at their door to contest their tax assessment every year! To help make it possible for local teachers, firemen, resort and restaurant workers etc. 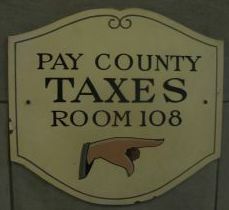 to actually live in the community, the counties give "primary residents" a discount on their property taxes. In Summit and Wasatch Counties (Park City & Deer Valley areas) Primary Residents get a 45% Discount on their taxes compared to "Non-Primary" residents. 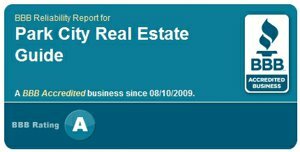 Park City & Deer Valley Second Home and Investment Property Owners Carry the Tax Burden for Local Services. This might seem counterintuitive, but it's reality. Second home and investment property owners pay a disproportionate share of the taxes for schools, fire, police, etc... even though they're not year-round residents. Even so, this "non-primary" rate is substantially lower than California, New York, Florida, New Jersey, and lots of other states. According to Summit County Assessor, second homes make up 36 percent of the appraised value of single family Park City dwellings. When it comes to condominiums, however, that number soars to about 80 percent.